I have a soft spot for Jean-Claude Ellena and his creations. They were among my first loves and I wore and loved his minimalistic pieces of art long before I evolved towards a broader appreciation of perfume and learned to love rich and opulent fragrances just as much. But in the beginning there was Hermés, there was Ellena. Therefore the tenth Hermessence, the exclusive boutique line of the House of Hermès was a must-try for me. Aside from that, I have a thing for creamy-woody fragrances like PG Cadjmeré, Le Labo Gaiac 10, Voyage d’Hermès or Estée Lauder Sensuous, so this was another incentive to try Santal Massoia. Santal Massoia includes notes of sandalwood, massoia bark, and coconut. To say that Santal Massoia was a perfume to last all day and blast you with sillage would not only be a blatant lie, but it would also not be what anybody suspected, or would it? We all know how Ellena works, what he loves and the sheerness, transparency, lightness, sparseness, minimalism, indeed the Haiku he aspires to create with every perfume is what we know and expect from him. So it is a given that you’ll have to look elsewhere for an all day scent. All that said, Santal Massoia is a delicate woody fragrance that impresses me with more presence than I would have given it credit for after the first wearing. It has actually some stamina, but you have to listen closely to its tender and quiet song. Santal Massoia starts out with a green fig note, which is reminiscent of Jardin en Mediteranée, although this fig strikes me as drier and more woody than the one of the earlier Ellena creation. Slowly sandalwood becomes apparent and with it a creamy, milky diffuse sweetness, sometimes hinting at coconut, sometime like caramel. But while all that sounds heavy and like a gourmand festival, this perfume is certainly not that. 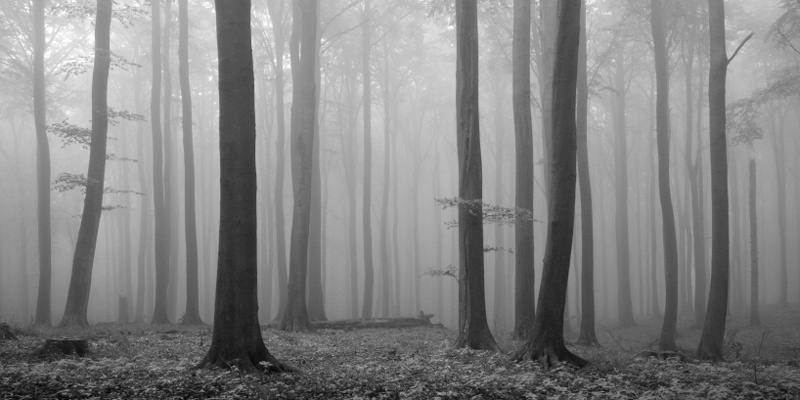 Throughout, there is a shimmering, nebulous quality, like strolling through a bare forest in the morning mist. Everything is diffuse, barely visible behind whitish clouds of mist. Santal Massoia is a woody perfume that is essentially linear in its development. It is smooth, perfectly refined and – for lack of a better word – utterly pleasant. That sounds like I’m damning it with faint praise, but I am not. This perfume actually grew on me much more than I ever thought it would. From a shrug of my shoulders and the dismissive adjective “nice”, I have now arrived at “I would buy a bottle immediately if it were possible, and will eventually, when I’ve saved up or find a bargain on eBay”. When I was sick recently, Santal Massoia was like a gentle tonic, calming and soothing, never overwhelming but still very much present. And as an aside: I can’t not comment on the beautiful leather accenting this Hermessence. The cap is a greige (don’t you love that word? Greige is my favorite color, ever since I know what it is called.) leather with a rugged, suede look. If I were rich I would certainly opt for the leather cover that comes with the 100ml bottle. 🙂 Being decidedly non-rich, I will stick with another image of the bottle for your (and my) viewing pleasure. See reviews of other Hermessences here. This entry was posted in Fragrance Reviews, Hermès, Woods and tagged Fragrance, Hermes, Hermessence, Jean-Claude Ellena, Perfume, Review, Sandalwood. Bookmark the permalink. I have read your review and initially I agreed, but after wearing it for a few times, it revealed its tougher side. It is quiet, sure, but I don’t get the feeling of it being watered down. I bought the travel set of 4 Hermessence and decided to give this one a whirl, it is a lovely soft gentle fragrance, I am happy with my 15mls but it does not go onto BFB (big full bottle) wish list. Hermes seems to be very popular in your household. 🙂 Santal Massoia and Ambre Narguilė would be my faves of your four. Massoia bark is just gorgeous stuff, I have a little bottle of it. It’s intensely rich and buttery, a bit like sandalwood on steroids. It’s a tricky note to use because of its intensity, so I was surprised JCE decided to tackle it! His “watercolor” style doesn’t seem to match massoia’s hefty personality. But reading your review, I will have a find a way to try this, he’s the master, after all! Exactly! He is the master! And this perfume is masterfully done. Also, I think this would be wonderful to wear in your climate. “Everything is diffuse, barely visible behind whitish clouds of mist.” Oooh sounds very appealing to me! It’s irritating that you can only test these at the boutiques. If anyone knows whether you can try them at a department store in London, please let me know. Sometimes you don’t need a perfume to stay the day. The fact that it soothed you during your recent sickness says a lot for it. Oh and greige is my new favourite word! They are at Harrod’s too, aren’t they? I definitely saw them last time! Greige is great! 😀 I think you’d like this greige perfume too. Thanks, B. I would be surprised if they weren’t at Harrods really. I think I’d like this greige perfume too! I’m going to have to stop reading you, for you give me the wants!!!!!!!! Just kidding!!!! I appreciate your writing and passion for the art of perfumery!!!! Usually quiet scents aren’t very me, except when there are wood notes involved. 🙂 I have to be in the right mood for it, but there are certain days when I crave Le Labo Gaiac 10 — and a pale-milky sandalwood fragrance sounds even better. I’ll definitely give Santal Massoia a try at some point. Thanks for the lovely review, Birgit! Santal Massoia is very similar in feel to Gaiac 10, so I think you might enjoy it a lot. I am just discovering Hermes, particularly the Hermessence line. I do love the softeness of Santal Massoia but I fear it’s too soft, like there is no staying power. Maybe I should give this a go again. If it is love I’ll be on the hunt for someone kind enough to split with me! hahaaha AGREED! Sometimes I look forward to the ending period of the scent I start with in the morning (no matter how much I love it) just so I can either reapply or apply a totally different scent. Thank you for your review! I have had the samples since the perfume came out, but have not had the interest to test it – until now. Hmmm. You are welcome! Glad I inspired you to finally try your sample. That is a great idea! I will let you know. No, I was joking! I’m sure you’ll love it! And I agree that “greige” is a great word and colour. Money being no object, i would own a few of these Hermessences in all their leather accessoried finery. Thank you very much for providing me with the sample, V! Haha, yes, pewter is shiny greige now you mention it… Inspired! I read (and liked) your review last night but didn’t want to comment yet. 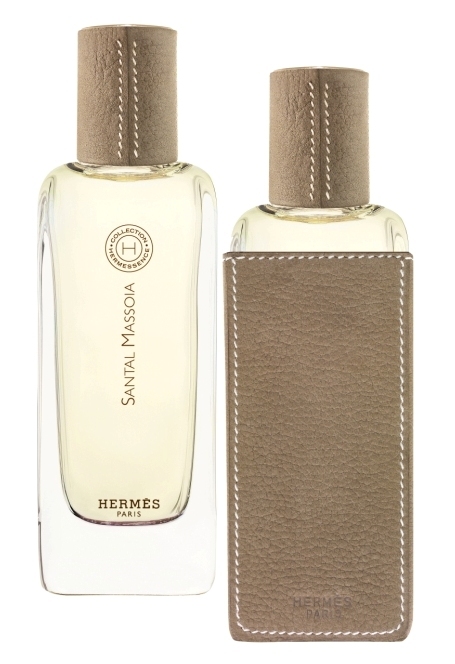 This morning I chose Santal Massoia for my office wear. It was an unusual step for me: normally I do not wear anything for the first time to the office. But I smelled this one before and it was very safe to assume it wouldn’t offend anybody or require a shower. As I was reading your review, I thought to myself “this sounds like a perfect scent when you’re under the weather.” Come to find out, you felt the same way! 🙂 Glad you’re feeling better. You made me very curious. Have to get a sniff somewhere, when back among the living again. I’ll bring a little Santal Massoia next time we meet. I think it does quite well in the cold, I’ve been wearing it a lot lately and loved every minute. 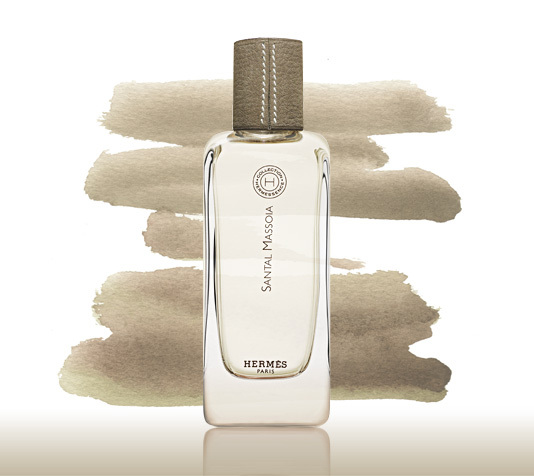 A question: Does your local Hermes store allow to mix the travel bottles or did you order them online? The store in Stockholm (the only one in Sweden) allows you to mix the travel bottles, I get the impression that it’s the standard procedure-it was the SA who suggested it the first time I bought a set. I think they sell much more of the travel sets than the big bottles. The SAs are also always very pleasant and helpful and seem genuinely interrested in the perfumes they sell. Thank you, Very good to know!